As someone who primarily reads fiction, I’m trying to get into reading more nonfiction and came to the conclusion that nonfiction that tackles social justice issues has become my cup of tea. In Valeria Luiselli’s book “Tell Me How It Ends,” she discusses her work as a translator for Latinx children whom are being interviewed after their parents were either deported or are under investigation. They are being interviewed to determine whether or not they should be allowed to remain in the country. The way the process works, according to Luiselli, is the children are asked 40 questions designed to “help” the children by determining if they come from unsafe conditions such as a violent home or if they were abused, etc. Their answers are used to determine whether or not they should be allowed to remain in the United States. Luiselli reveals a system that is actually designed to kick these children out of the United States. The book does an excellent job of giving the reader an inside look at her perspective of being someone who works in the immigration system and uses that insider knowledge to express why the treatment of these children is a problem. She writes this passage to demonstrate the absurdity and illogical thinking that stigmatizes immigrants. She does this throughout the book and it had a powerful impact on me. The tone of the book is another aspect that I find very powerful. Reading it, I kept feeling angry about the immigration system and the way it currently operates. I kept being reminded of the way people view immigrants is similar to the way our current president views them. While reading, I was reminded of the horrific events that took place over the summer with the separation of immigrant families and children being kept in cages. Though the book is written in 2017, I couldn’t stop thinking that the way the system is set in place for these children, eventually led up to Trump’s child prison camps. It shouldn’t be a crime to strive for a better life for yourself and your family. As a society, we need to have more compassion and be empathetic towards immigrants. When talking about the children in cases, I usually hear many people say, “It wouldn’t happen if the parents didn’t cross the border.” My response always comes down to pointing out how they are missing the point. No one, especially children, deserve to be kept in a cage like they’re animals. Luiselli’s book brought out so many thoughts and emotions, and I personally feel that is precisely the point. She wants the reader to feel angry and outraged, to think about the reality of the immigration system. “Tell Me How It Ends” is relevant, poignant and important. I strongly urge people to pick it up. I bought my copy on Amazon but it is readily available at most major book stores. 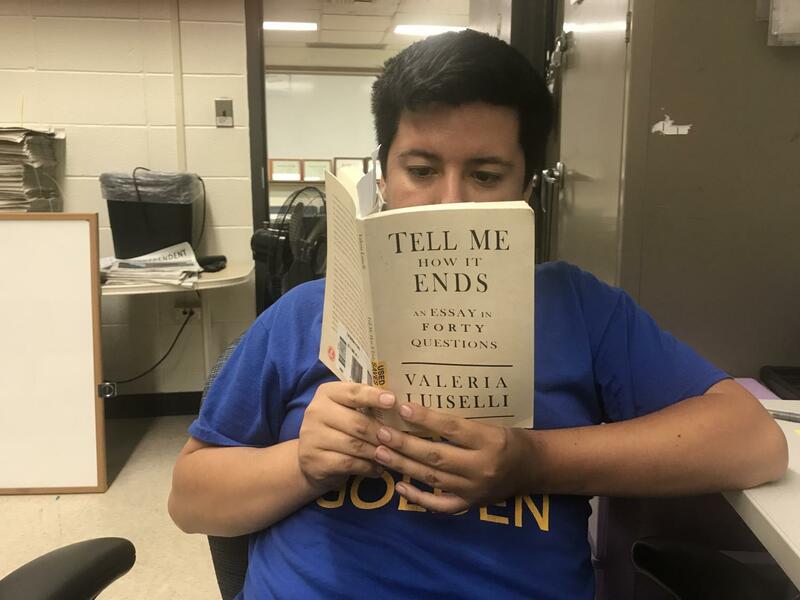 Arts and Life Editor Robert Kukla bought his copy of “Tell Me How It Ends” on Amazon for $11.66, but the Kindle version is approximately $7.80 on Amazon.